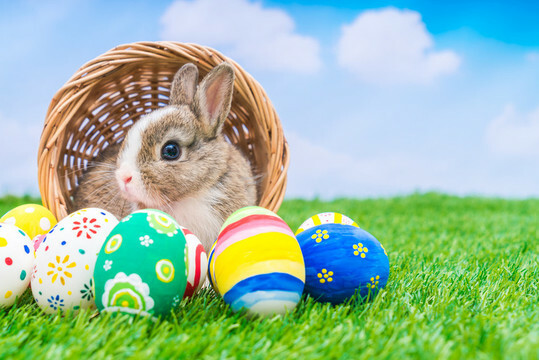 On Tuesday 27th March, we will be celebrating Easter with an Easter Bonnet parade on the KS1 playground, followed by a service at St Barnabas’ Church on Rushet Road. The visit is to enrich and broaden children's experiences of our community outside of the school and to gain a deeper understanding of other customs. The school will take part in singing a selection of celebration songs. All parents are welcome to come along to the church and join them from 10am. The Easter Bonnet Parade, will take place at 9.05am on the infant playground and parents are invited to come and watch. If your child would like to take part, please ensure they bring their creations into school with them on the 27th. As usual, it is not compulsory; your child may not want to make or wear a decorated hat. We will be walking to and from the church so can you please ensure your child has a coat and full school uniform. We appreciate any help you can give with regards to supervising the children on the walk up to the church. If you would like to volunteer for this, please let your class teachers know by Friday 23rd March.